Christina under the stern of the Um El Faroud. This is one of my favourite parts of the ship: it rears up out of the sand. 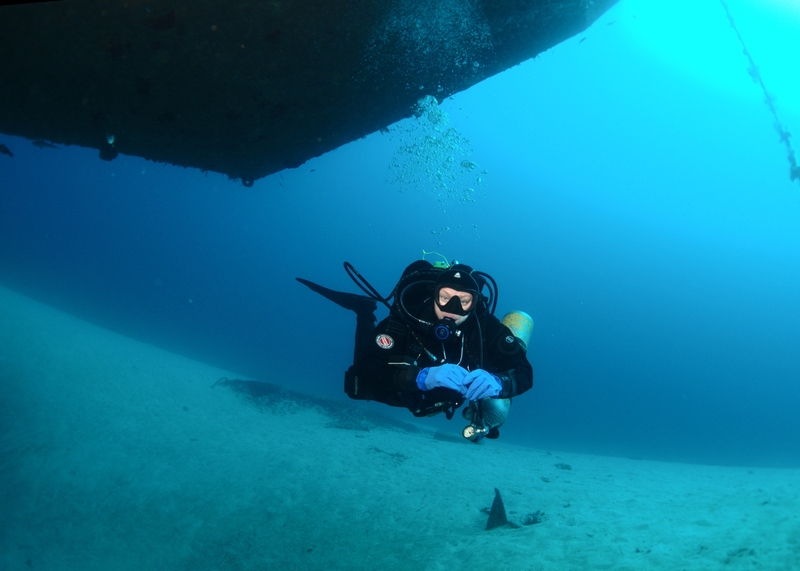 Some day I’ll spend the entire dive just sitting at the rudder, enjoying the perspective. This work is licensed under a Creative Commons Attribution-ShareAlike 4.0 International License. Please attribute Kristaps, the photographer, with a link to kristaps.bsd.lv/photo0017.html.